Is relaxing planning laws for domestic extensions a good idea or bad? 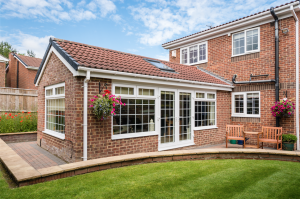 We are seeing significant signs of improvement within the construction & Property Industry and with the decision to allow larger single storey extensions to the rear of properties for a 3 year period this could be another boost to the economy but what the side effects? Although the flexibility to build larger extensions means people may choose to spend more there is planning restrictions on size for a reason and that reason is to avoid monstrosities being built? Are we going to see large unsightly developments? Will adjoining properties have issues with light; make an objection which they have every right to do causing neighbourhood disputes? On the other hand in the current economy many families cannot afford to move and this may be a great option to gain that extra space and stay put? Does it even matter as these are rear extensions which are only seen by a few people and when we are hit with real life it’s the only option?